A young criminal who left prison and set up as a drug dealer has been jailed for more than three years. Ashley Cooper, 20, was still on licence following his release from prison when he was caught with thousands of pounds of cocaine, amphetamines and cannabis. He had been out of prison for less than a year when police recovered drugs worth more than £37,000 in a string of raids. Neighbours alerted police over suspicious callers to two properties in Billingham, where he kept his supplies. Cooper was described in court as a ‘drugs minder’ and he was forced into it. Officers executed search warrants on August 17 at houses owned by his relatives in Cotswold Avenue and Hylton Road, both Billingham. Prosecutor Rachel Masters told Teesside Crown Court that the raiding party found £30,000 of cocaine, £7,000 of amphetamines, a significant haul of cannabis and £495 in cash. 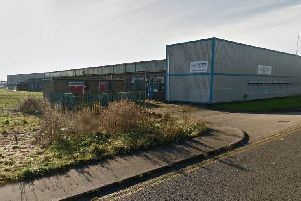 The drugs were in the form of a bag of cannabis bush, a block of white substance in a carrier bag, a crystallised substance and a hydraulic press along with self-seal bags. Cooper, who had convictions as a juvenile which included violence, but none for drugs offences, had been released from prison in September last year. Miss Masters said that he was interviewed on a number of occasions, and he said that he was keeping the cocaine for others. She added: “The Crown say that he was a minder for cocaine. Cooper, from Billinmgham, pleaded guilty to possession with intent to supply cocaine, amphetamines and cannabis. Dominic Sabino, defending, said: “He has no previous convictions for drugs and it will be his first sentence served in an adult prison. “After he was released from custody the last time he became involved in offending. The judge told Cooper that by acting as a minder for cocaine he was involved in the drugs trade at a higher level. Cooper, of Cotswold Avenue, Billingham, who appeared over a videolink from Durham Jail, was jailed for three years and four months.